Your divorce will probably be one of the most difficult experiences you will ever experience. Our job is help bring you through the process with support and compassion, aware of keeping emotional health intact – for your family relationships and financial future. When you are comfortable enough to talk to friends and family about your divorce, you will likely be overwhelmed with stories, both good and bad, about what happened to other people during their divorce, and about their outcomes. It is important to learn all the facts. Each case is unique, and though the law may be the same, you and your spouse have your own unique priorities, affecting your own unique outcome. Prior to 2011 New York State required you to demonstrate reason for seeking a divorce, also known as grounds for divorce: adultery, abandonment, incarceration, cruel and inhuman treatment and living apart for a year or more after having signed a separation agreement. In 2011 the New York State Legislature added “irretrievable breakdown of the marriage,” allowing a husband or wife to seek a divorce if he or she believed that for at least six months prior the marriage was irreparable. Your divorce also gives you certain rights and obligations. If you are the breadwinner of the family, you will be required to pay certain expenses, child support and/or maintenance, and sometimes counsel fees for the other party. As the custodial parent, you have an obligation to foster a relationship with the other parent. Your assets and debts will be allocated and distributed as well, and it is important to locate all assets. If parties are unable to reach an agreement as to the distribution of assets, the Court will determine an equitable distribution. Equitable distribution is not always 50/50, and factors such as length of marriage, income of the parties and contribution to the assets and expenses may be considered. 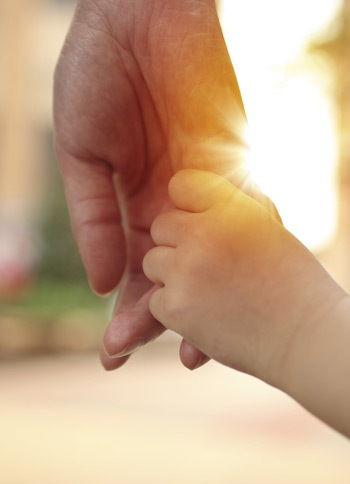 There isn’t much room for negotiation when determining child support payments. Like most states, New York uses strict statutory guidelines based on the parents’ income to determine how much child support will be paid. It is imperative that the correct amount of income be used to make the determination. Child support is not static. Life changes and child support can change to reflect the new situation. Getting a job, losing a job, starting or stopping child care, are all reasons child support should be modified. Whether you are applying for child support for the first time, trying to enforce an existing Order or trying to change an existing Order, the Family Court can be a difficult to navigate. As your attorney, I will ensure you properly complete the financial disclosure forms and gather the necessary documents in order to present your case. Since children are the most important factor in most divorces, separations or family law cases, it is often the most emotionally charged issue. Custody proceedings typically involve the determination of custody, parenting time, decision making, supervised visitation, and relocation. These proceedings typically take place in either Supreme Court or Family Court. The Court will first and foremost consider the best interests of the children when rendering a decision. How a Court determines the best interests of children may be based on varying factors: a parent’s behavior, alcohol or substance abuse, domestic violence, location of residence, ability to foster a relationship with the other parent, parenting ability, for example. A Court may appoint an attorney for the children who will, based on the situation and age of your child(ren) spend time with the children to acquaint themselves with your child’s perspective. In some situations, where the Court deems it necessary, the Court may appoint a psychologist (often called a forensic psychologist) to evaluate all members of a family and provide a report to the Court. The psychologist’s report is often used to assist your attorney in resolving issues of custody or parenting time. As your attorney Catherine will work to ensure the best possible resolution for you and your children and based on your personal needs. As a divorced parent, Catherine fully understand the difficulties parents face when divorcing. Included are some helpful links which will provide valuable information when going through a divorce or separation.